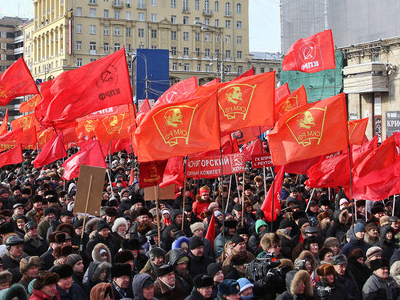 Communist leader Gennady Zyuganov has announced he will run for presidency in the 2012 election. He made the statement while appearing on a popular political program on the federal First Channel. ­“I will take part in the election,” he said answering a question from the host, Vladimir Pozner. 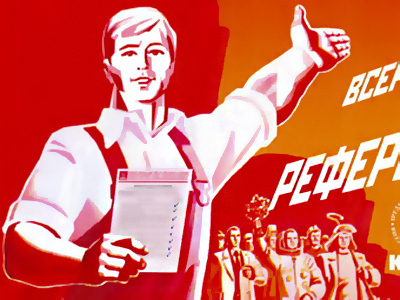 The Communist leader added, though, that only the party’s convention can decide on his nomination. Earlier, President Dmitry Medvedev and Prime Minister Vladimir Putin told journalists that they do not rule out putting forward their candidatures for the election. At the same time, both said that the final decision has not been taken yet. 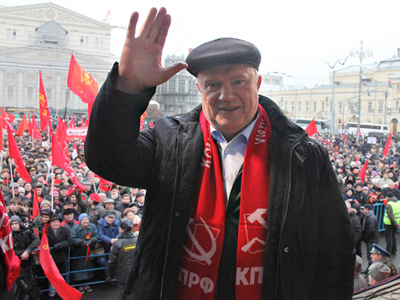 Zyuganov has been leading the Communist faction in the State Duma since 1994. He has taken part in all presidential elections since 1996, except for 2004 when the party was represented by one of its deputies Nikolay Kharitonov. As leader of the Communist party, Zyuganov has been pushing for nationalization of the property that was given to private hands in the 1990s. He has also been a consistent critic of government reforms in education and healthcare, calling for the return of the Soviet model in these sectors. He calls the current economic course “market fundamentalism”, which, in his opinion, is leading the country to deadlock. As for other social issues, he pushes for reform in the management of housing and community amenities and reducing prices for their consumers. The Communists are also unhappy with the existing electoral system which they say leaves too much room for falsification. 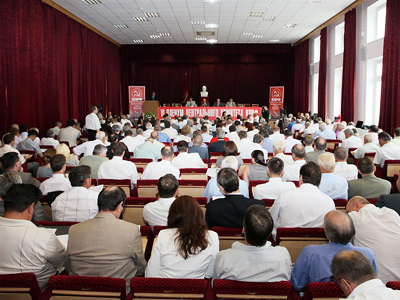 Gennady Zyaganov has not yet revealed his presidential program.